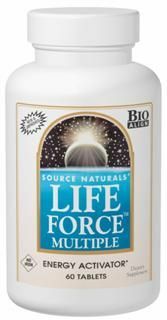 Source Naturals Aller-Response(TM) is a Bio-Aligned seasonal formula that provides systemic support for the sinuses, lungs, and immune system. Aller-Response features quercetin, which has demonstrated the ability to inhibit the release of histamines, according to human cell culture studies. The formula contains powerful herbs, including ginger, ginkgo biloba, amla, and andrographis, which have been used traditionally for lung, bronchial, and immune health. Vitamins A and C, along with Zinc, provide additional immune support. Other Ingredients:silicified microcrystalline cellulose, stearic acid, colloidal silicon dioxide, and modified cellulose gum. Notes:Do not exceed directed amount. For Adult Use Only. Do not take this product if you are pregnant, may become pregnant, or breastfeeding, have high blood pressure, a cardiovascular disorder, heart disease, hyperthyroidism, prostatic hypertrophy, or are regularly taking aspirin, blood-thinning medication, MAOIs or any other antidepressant or prescription drug. Reduce or discontinue use if nervousness, tremor, sleeplessness or nausea occur.